Product Description: Listed amongst the well-known companies of this domain, we are highly dedicated towards providing a broad assortment of Twin Lobe Air Blower. We are offering Industrial Air Blower to our client. Capacity: 1/2 H.P. / 1440 R.P.M. So as to meet with the increasing desires of our customers, we are offering an inclusive Industrial Blower. 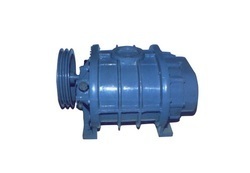 These products are precisely developed using best quality components.